I’m terribly excited about this. I’m looking at this being the first step toward being able to make a living with fitness. Sure, it’s unpaid, but check out the company I’m in with the other contributors. There are doctors, fitness professionals, writers and editors for places like Livestrong and Men’s Health…and little old me. Maybe some kind of connections can come out of all this. Maybe. Perhaps. Permaybehaps. And if not, well, it’s still a fantastic opportunity that’s already been added to my CV. I’ve turned in my first article for the knowledge base, and I’m working on getting that edited. It’s tentatively titled What Do You Need to Start Running?, and I think it’s pretty interesting. Update: My post ‘What You Need to Start Running’ is now live on Fitocracy. How awesome is that? If there are any topics out there you guys want to hear about, please let me know so I can get to drafting them. And even if they’re not the kinds of topics that will go into the Fitocracy Knowledge Base, there’s no reason why they won’t fit here on Geek Fitness. So let me know what you wanna know! 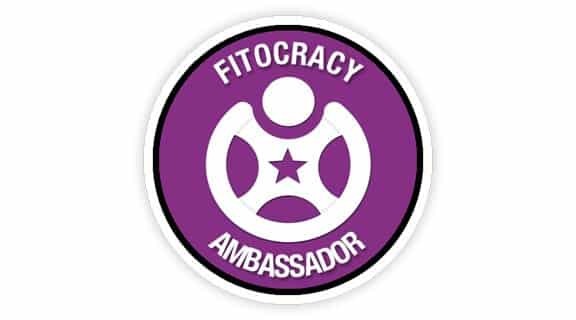 As awesome as being a Fitocracy Ambassador is and as excited as I am about it, there’s another super-fantastic announcement I’ve just been bursting to tell you about, and I was given the go-ahead to squawk like a parrot. I’m gonna be in a book! A running book! A really awesome running book! 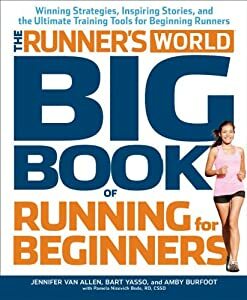 Jennifer Van Allen, the special projects editor for Runner’s World, is writing a book called The Big Book of Running for Beginners, and I am going to be in it. #squee! I submitted my story to RW a while back for their “How Running Changed Me” series, and Jennifer has since been interviewing me for inclusion in her upcoming book. Apparently, being a successful runner who’s lost a ton of weight and who battles exercise-induced asthma is worth mentioning. I don’t know how much of my story/interview is going to be in the book, but just because I’m going to be in it, you know it’s going to be awesome. It’s due out in January and available for preorder. Jennifer’s good people, so head on over to Amazon and snag a copy, would you kindly? On top of that, I think I’m going to be featured on their website for the “How Running Changed Me” series, but I haven’t heard anything about that in a while. When I know, you’ll know. Now you know what’s going on in my world, but I want to know what kind of awesomeness is happening with you folks. Let me know in the comments!